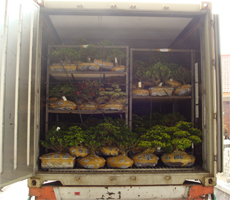 The export department of Exotic Bonsai contains of well experienced people that can handle full load containers, both reefers and dry for all our products as well as part-loads in combined containers. 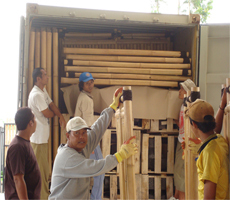 Also airfreight and smaller loads can be handled by our staff without any restrictions. rules, packing requirements and so on already have been experienced by us before. We can guarantee any purchasing party of the best handling of his order; big or small. All our prices are F.O.B. 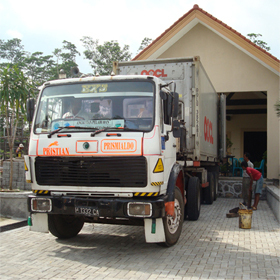 prices (Free on Board), which means the purchasing price includes treatment, repotting (if necessary), packing and packing materials, documents, handling, inland government charges, inland transport and trucking in Indonesia. Payments should be made before shipping of the goods. Any way of payment in accordance with our company standards is accepted, however a bank remittance is favorable.